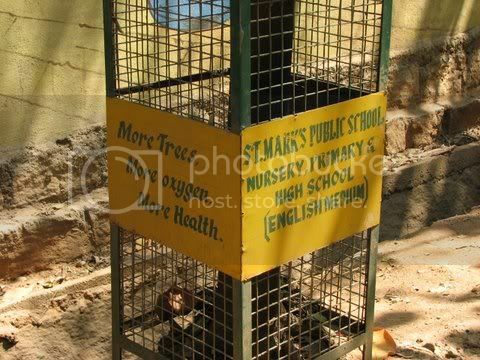 Most of us agree that our tree cover is depleting alarmingly, and we cluck about it….but St Mark’s School has done something…er…concrete, to choose an inappropriate word! 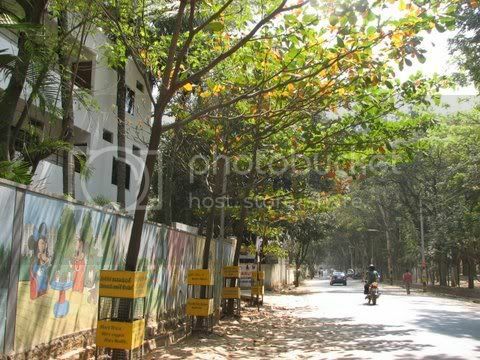 They have planted 9 badam trees in front of their school in J P Nagar 3rd Phase. They had plenty of excuses NOT to plant trees. The Mini Forest, with lots of trees, is right opposite. There’s hardly any footpath in front the school. But they went ahead and planted the trees anyway.